Tabassum Sultana, is a fourth rank holder in M.A Sociology from Bangalore University. She has also completed M.A in Political Science from Bangalore University. She has an overall experience of more than 17 years in teaching. She has been with CMR Law School since 2010. Before coming to CMR she had been working as a full time faculty in Seshadripuram Law College, Bangalore, between August 2005 and July 2010. She has also served as a visiting faculty in KLE Society’s Law College (August 2001 to July 2005) and M.S. Ramaiah Law College (February 2002 to July 2005). She has been a member of the Board of Examination under the Bangalore University as well as the Karnataka State Law University, Hubballi. 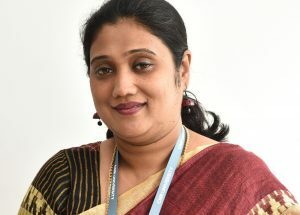 She has presented several papers including an interdisciplinary work entitled, “Women and Legal Protection” in a National Seminar organized by Department of Sociology, Bangalore University. Her research interests include Women empowerment, Gender Studies & Caste and Politics.